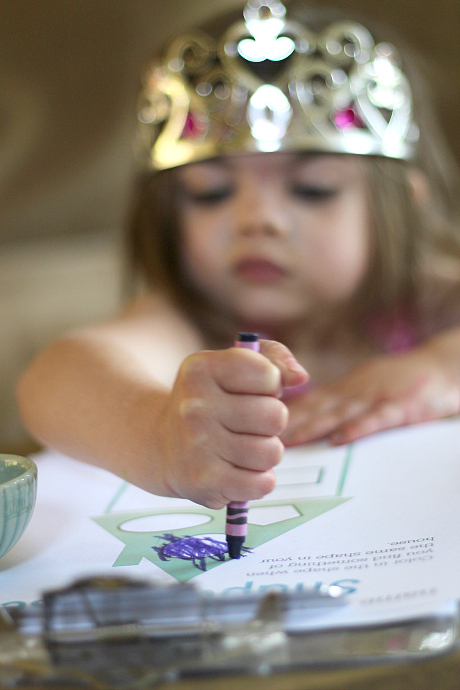 My daughter wants homework so badly. She sees her older brother do a little during the week and begs to get in on the action. 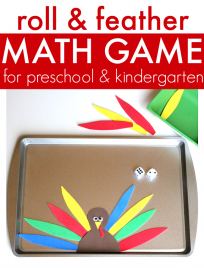 I don’t think worksheets and preschool age kids make a great match. I think that hands on exploration and experiencing things with as many senses as possible is imperative for learning at this age. However when you listen to your child and they are asking to try learning in a new way it’s not fair to ignore them. 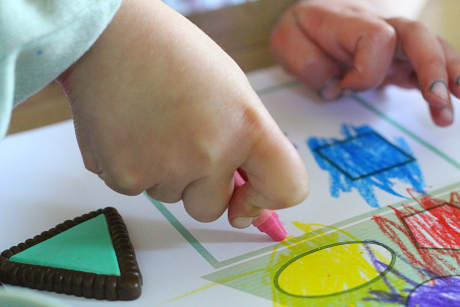 Instead find a way to twist the less developmentally appropriate activity into one that hits the targets you are hoping to hit. 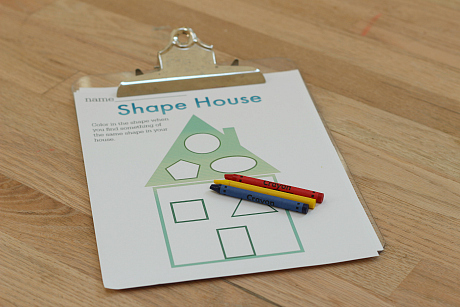 This worksheet is paired with a gross motor activity that lets the learner manipulate the shapes turning a static shape hunt worksheet into a dynamic activity. Gather your materials. 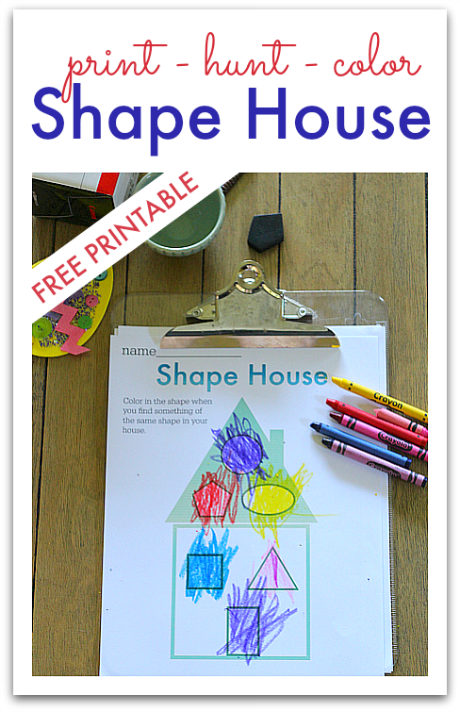 You will need our shape house printable ( or you can just draw some shapes on a piece of paper – both will work JUST fine), some crayons, a clipboard if they want to bring the sheet with them while they search, and objects in your house that match the shapes. I should have really checked to make sure we had a pentagon before doing this activity… I ended up having to cut one out of foam while my daughter searched in vain. 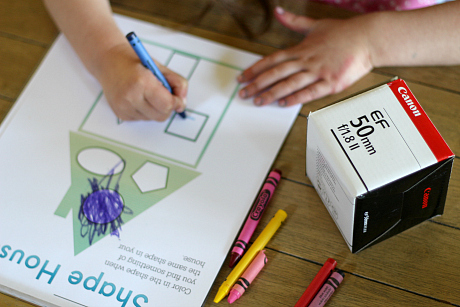 Show your child the printable and explain that everything has a shape. 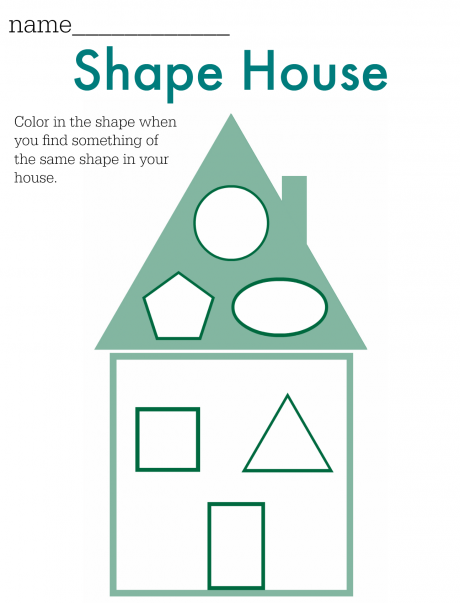 Today you are looking for those shapes at your house. 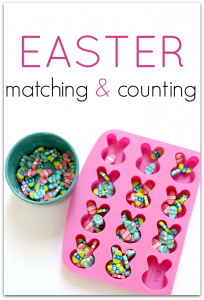 When they find it they can color the matching shape in. Go searching! You can choose to hide shapes or just have them find things in the house that are in the same shape. 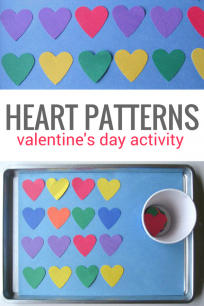 We went for the later.Color the shape on the sheet when a shape is found. For the square my daughter found a box which opened up an unexpected discussion about squares vs cubes. She LOVED this even when it took forever to find a pentagon. 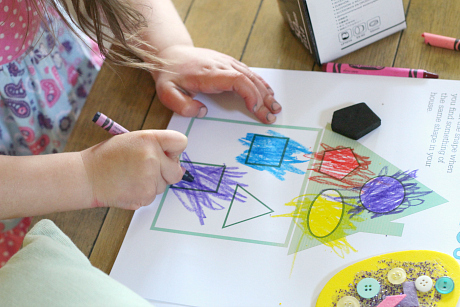 She was very very excited that we managed to find all the shapes and fill in her whole sheet. 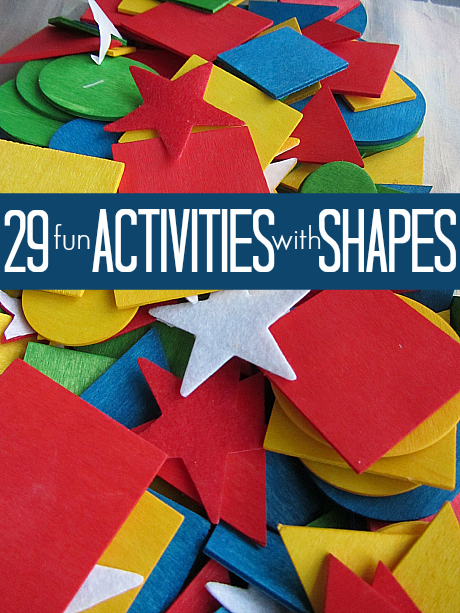 More hands on shape activities – click on the image to see the full list!